Hello I was playing the game as intended on January 28th and for some reason when I got off my mount I could still fly without it I found this very strange so I logged out and logged back in and I still was flying I even closed the application and restarted, but I just kept playing despite of it and it honestly was more annoying than anything so I didn't want it. Anyways someone was accusing me of hacking even though I wasn't they must have reported me and I was banned the next day. Also I want to mention when I did battle grounds the glitch was not there only outside of instances please help thank you! 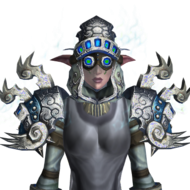 By the way i am on Sylvanas Legion Not Gul'dan Warlords. You can make a ban Appeal providing evidence this was the case, and eventually get your account back. You can make a ban appeal using the following link.